Aug 14, 2013 - N.A. If you’re thinking of hitting the road this summer, why not do it in style? Looking like a cross between a boat and a submarine, the A is certainly a head-turner. 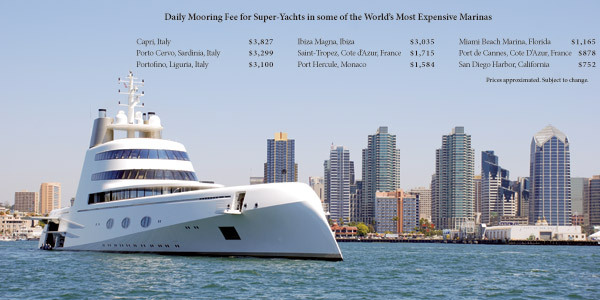 It is not the biggest luxury yacht in the world, but it does rank in the top 10, according to Power and Motorcraft magazine’s 2009 review of super boats. 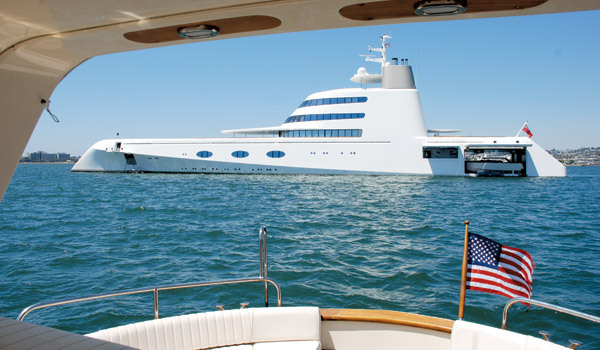 The boat belongs to a 38-year-old banking, steel and fertilizer magnate from Russia who visited San Diego Harbor in 2010.